The city of Seattle hasn’t had it easy, sports wise. Its former NBA club, the Sonics, left town in 2008. This past year efforts to get pro basketball back to the city by luring the Sacramento Kings fell short. The NFL Seahawks made a gallant playoff run behind young quarterback Russell Wilson, only to suffer a gut-wrenching 30-28 loss to Atlanta one roushy of the conference championship. The loss marked the Seahawks’ twelfth trip to the NFL postseason in their 37-year history, none of which have ended with a title. Altogether, Seattle teams have competed in 115 cumulative seasons, advancing to at least the semifinal round of the playoffs 11 times, with just a single ring by the 1979 Sonics to show for their efforts. It earns Seattle the top spot our Most Miserable Sports Cities list, just a hair ahead of Atlanta, a town whose history is loaded with Braves’ postseason flops and which lost its NHL franchise not once, but twice. Fast forward to January 19, 2014. Our Seahawks beat San Francisco in a final seconds, tipped pass away from Crabtree by Richard Sherman in the end zone. Our shot at redemption awaits us today as our best-defense-in-football, Seahawks, square off with the best-offense Denver Broncos. Seattle will be cellar-dwellers no more, not with this incredible Seahawks football team and its regular season record of 13 and 3. It’s been a blast connecting with old friends, and new, on Facebook during the games. Our need to vent and cheer is quite deserved. Whether it was Beast Mode, Marshawn Lynch going for yardage, or Richard Sherman executing a pick six in the other end zone, we did it!!! School kids are having 12th contests, Boeing is flying its Seahawks painted 747-800 freighter around the state today in a pattern saying, 12, and even new flavors of Skittles have been created for our Beast Mode, Marshawn Lynch. NFL Seahawks jerseys sales are through the roof. Who wouldn’t want a number 25, Richard Sherman, jersey? Best cornerback in the league. Believe it! 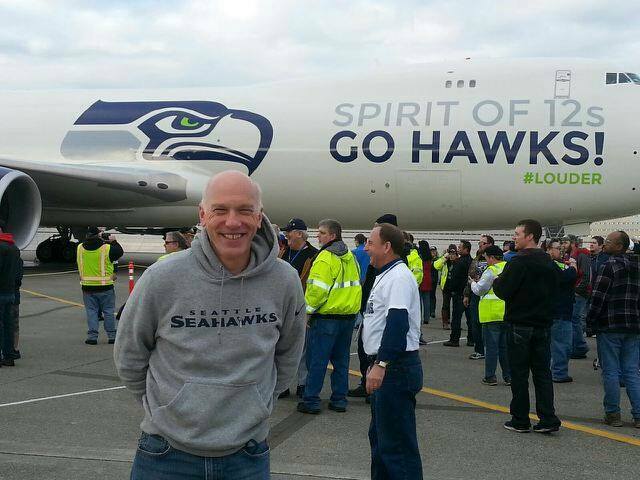 Ask anyone in the state of Washington, or Puget Sound, or anywhere on the globe who is a Seahawks’ fan, and they will tell you that this year is something amazing. Whether or not we win (and we will), this event catapults Seattle out of its label as the most miserable sports city in the country. With a victory over the Denver Broncos, our city will be rid of this dubious honor. Heck, even if we don’t win, the fun is getting to the Super Bowl. 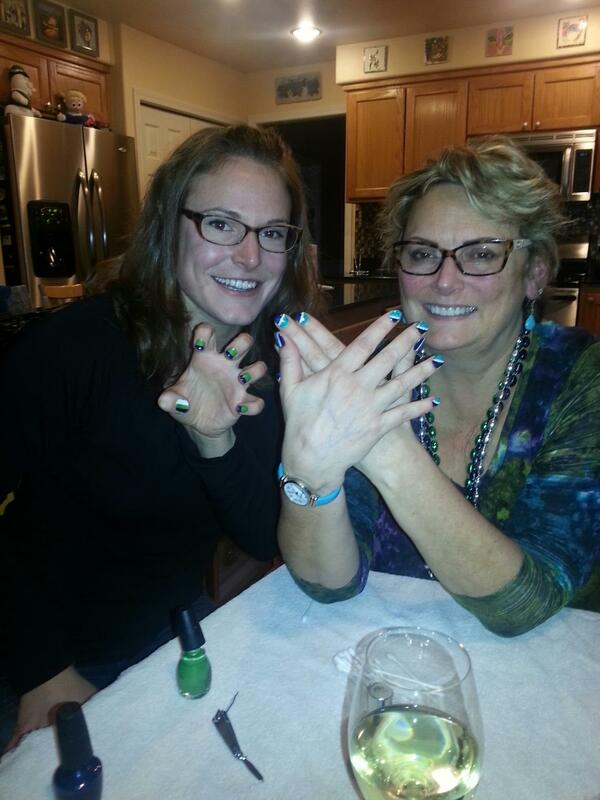 Even our nails say Go Hawks!